UIS Events: UIS Speakers Series presents "The Other Emancipation of the 1860s: Freeing Russia's Serfs"
UIS Speakers Series presents "The Other Emancipation of the 1860s: Freeing Russia's Serfs"
WHAT: The University of Illinois Springfield Engaged Citizenship Common Experience (ECCE) Speakers Series presents “The Other Emancipation of the 1860s: Freeing Russia's Serfs” featuring author Peter Kolchin, Ph.D., the Henry Clay Reed Professor of History at the University of Delaware. WHEN: Friday, March 1, 2013 at 10:45 a.m. DETAILS: This year marks the sesquicentennial of the emancipation of the slaves in the United States. However, the emancipation of 22 million Russian serfs in 1863 is less well-known. While Tsar Alexander II issued an Emancipation Statute in 1861, the legislation did not take effect until 1863. 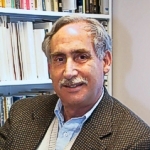 Kolchin will discuss the emancipation of the Russian serfs in comparative perspective with the emancipation of the slaves in the U.S.
Kolchin received his Ph.D. from Johns Hopkins University in 1970, specializes in nineteenth-century U.S. history, the South, slavery and emancipation, and comparative history. His books include First Freedom: The Responses of Alabama's Blacks to Emancipation and Reconstruction (1972, Revised Ed. 2008), Unfree Labor: American Slavery and Russian Serfdom (1987), American Slavery, 1619-1877 (1993, revised ed. 2003), and A Sphinx on the American Land: The Nineteenth-Century South in Comparative Perspective (2003).